When it comes to pursuing our goals, we’re often drawn to a “quick-fix” that delivers instant gratification. However, research and practical experience show, time and time again, that a consistent approach to habits will deliver the most eﬀective, long-lasting results. Taking a broader view, we could examine the eﬀects of sleep on health, performance and fat loss. We could also review techniques to avoid exercise-induced injury. We can even re-visit how to cut out hidden calories that scupper our weight loss efforts. In this article, though, we’ll keep a narrow focus and look closely at one of the essential nutrition habits that we implement with each and every client. Eating protein at every meal. If you are protein deficient it can have an adverse impact on your health. Here we’re putting the spotlight on ensuring you receive a constant supply of protein to enhance your fitness, performance, and body composition goals. Satiety is simply the degree of fullness you feel after eating food. And protein kicks ar$e when it comes to creating fullness – feeling full for longer – compared to carbohydrates and fat. Whatever you eat, your brain controls your feeling of hunger, responding and adapting to the information it receives. When you eat food with low levels of satiety, you’ll find it’s much easier to eat more. By contrast, higher protein meals help to reduce hunger pangs and cravings. And feeling sated will, in turn, decrease the overall amount of food you eat. You probably already pay attention to how many calories you burn on the stepper, in your spin class or when out running. 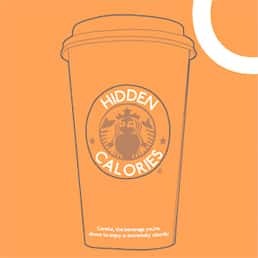 You may be less familiar with another source of ‘calorie burn’ that takes place all day long: NEAT. It stands for non-exercise-activity-thermogenesis, which is all of the energy you use when not exercising. Protein has the highest thermogenic eﬀect, so the more protein you eat, the more calories your body uses to break it down. By eating protein, you’ll raise your NEAT and improve your body composition. To reduce body fat, you need to achieve a calorie deficit: you must eat less than your body requires. When it comes to managing hunger, this is challenging, but protein can help thanks to its high satiety factor. Holding on to your lean body mass, your muscle, can also be a struggle. Protein can help here too because it ‘spares’ muscle. Consume the right amount of protein while reducing calorie intake, and you’ll protect muscle while losing fat. Protein is the most filling nutrient, and eating more protein gives us better control over our hunger. Studies have also found that a higher protein intake can help stabilise our blood sugar levels while dieting. This is beneficial both from an energy level and appetite standpoint. What does protein at every meal look like? Here’s a sample meal plan that contains 1800 calories and 170g of protein (approximately 680 calories, just under 40% of calories). We have been working with clients for over 20 years (and collectively many more), in that time our results, and current research, show that a consistent approach to habits will deliver the most effective, long-lasting results. This is the case for exercise, nutrition, mindset and recovery strategies. Try out this nutrition habit for 21 days and let us know what you experience.